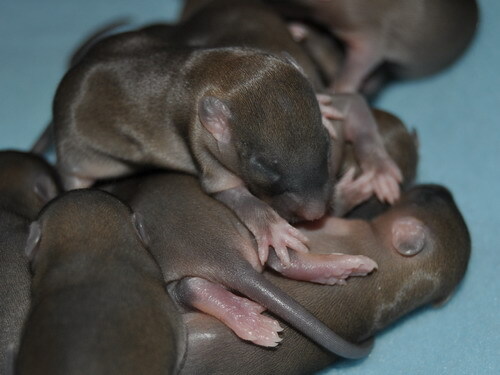 23/10/2012: 14 babies, day 22 of the gestation period. 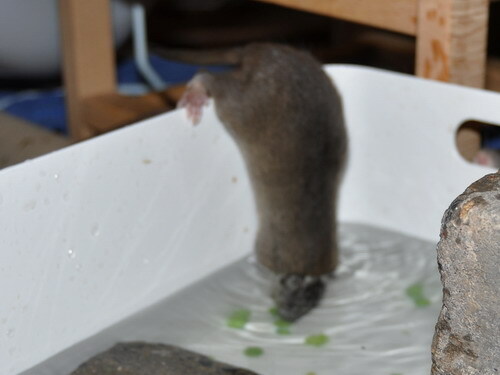 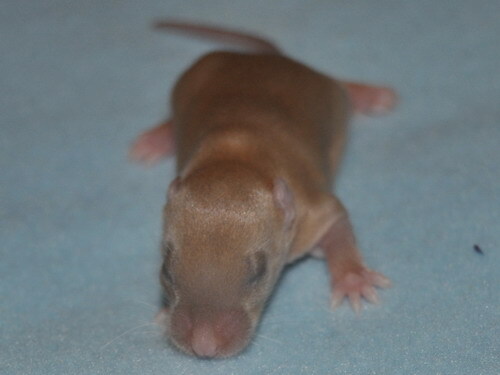 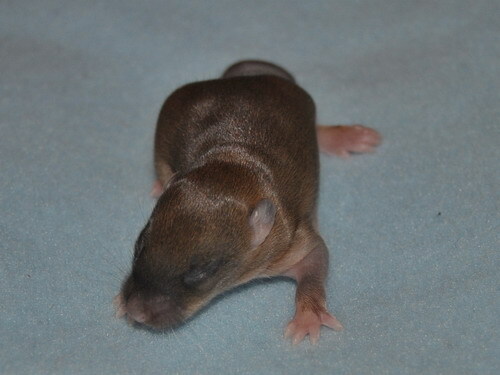 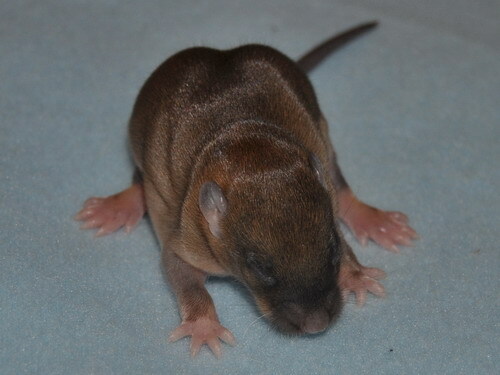 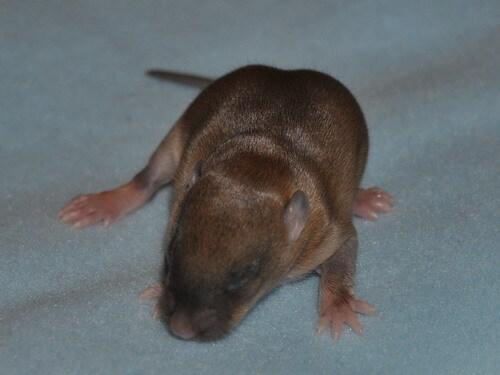 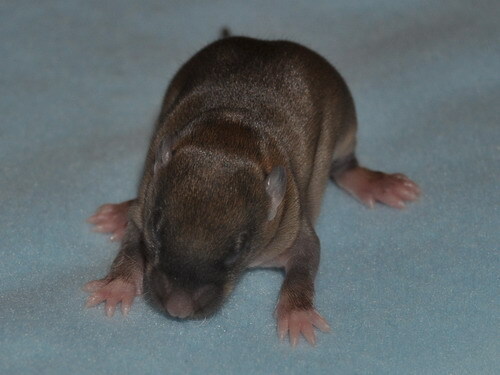 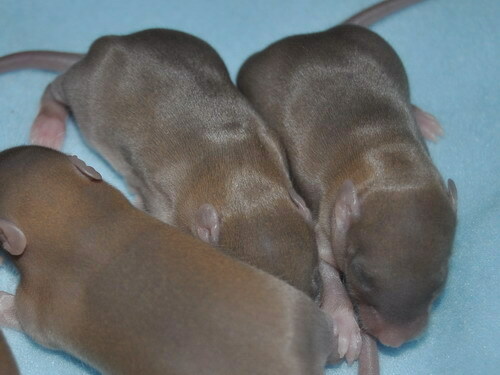 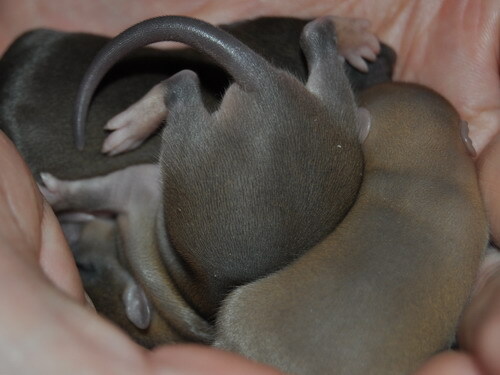 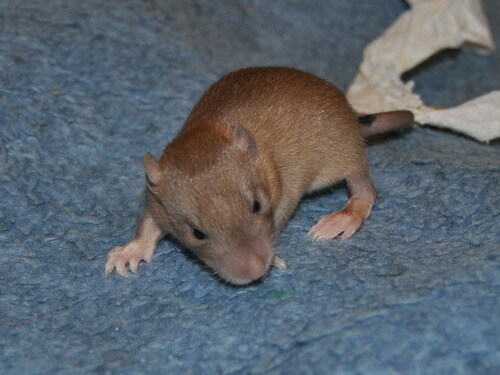 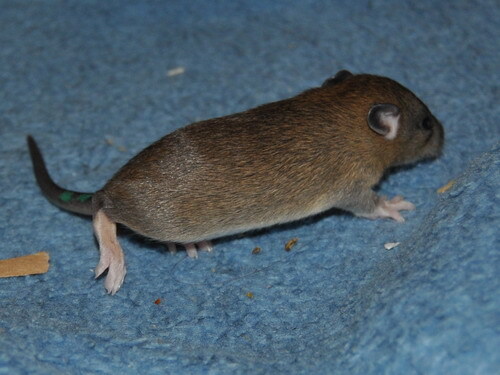 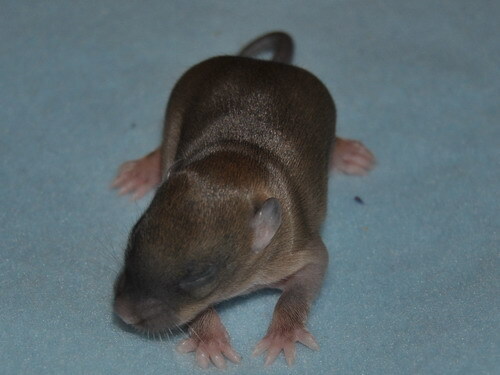 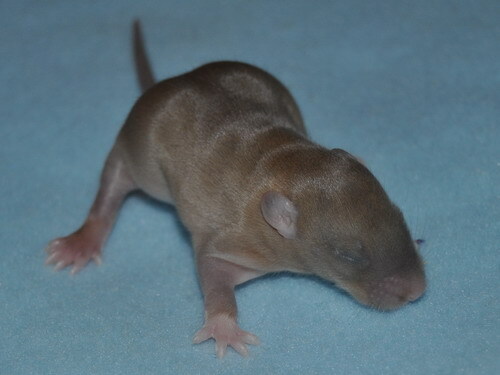 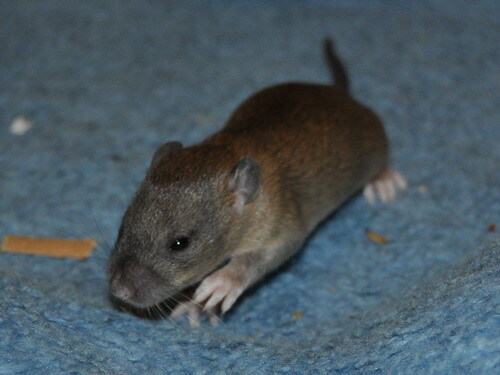 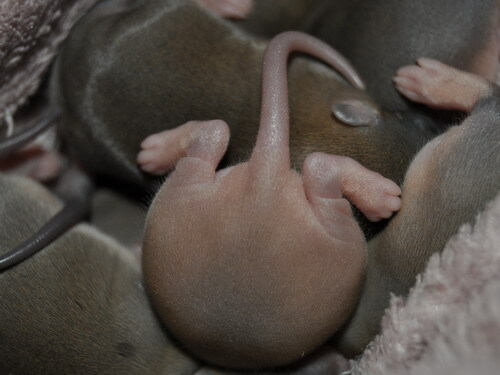 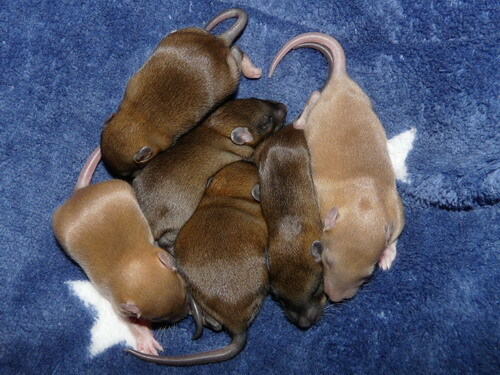 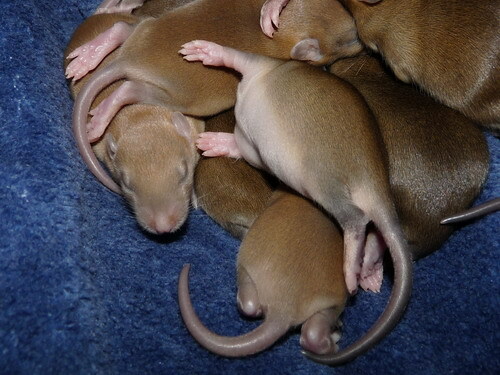 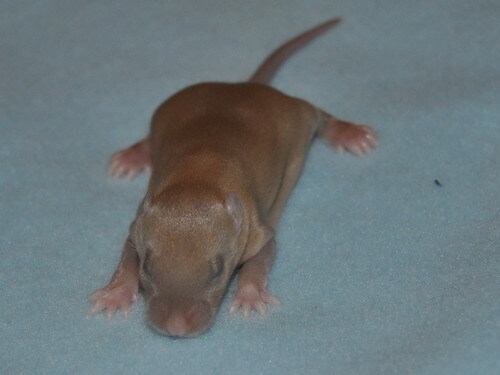 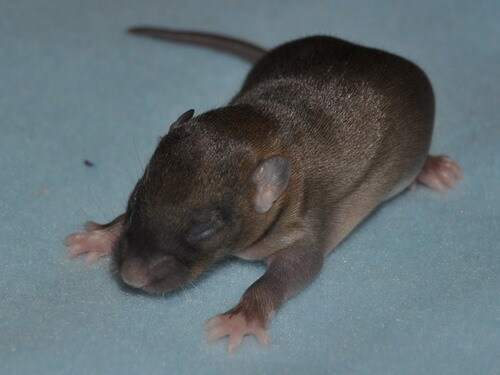 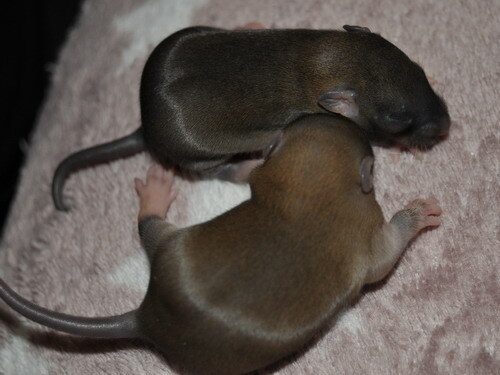 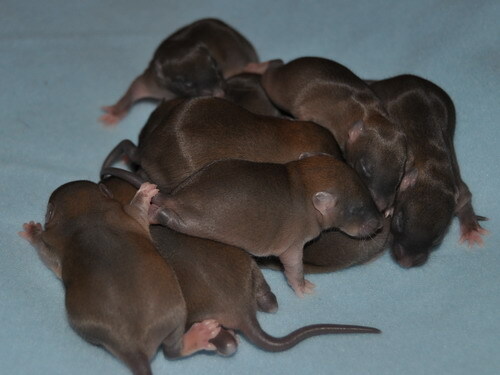 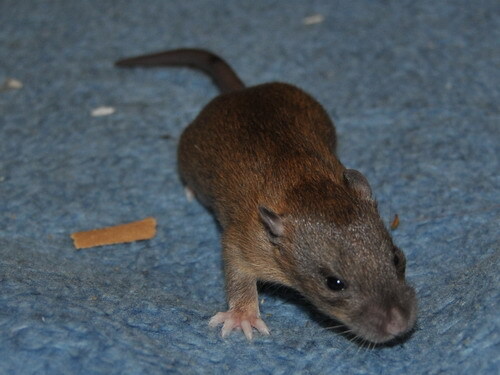 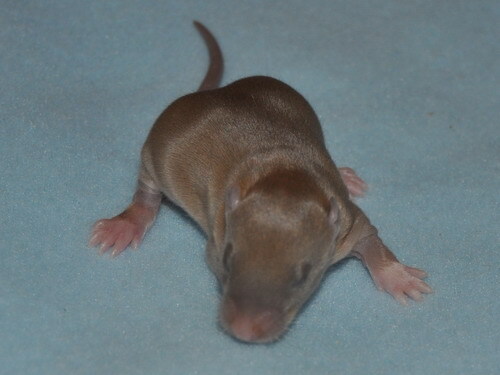 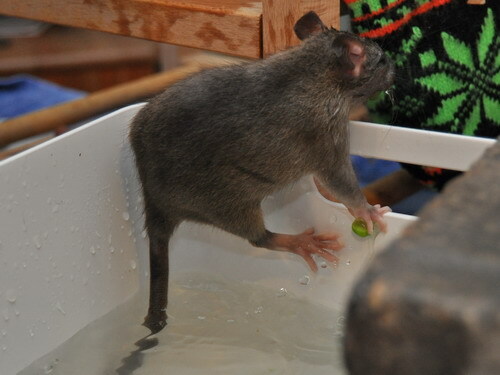 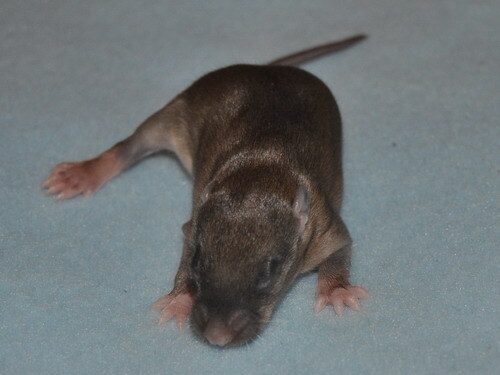 Flow is beautiful agouti doe from my first litter. 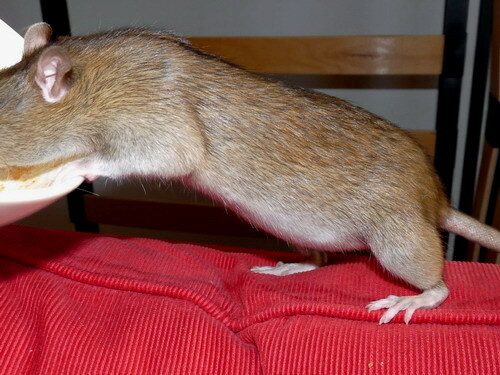 She is steady and solid, and very active and agile. 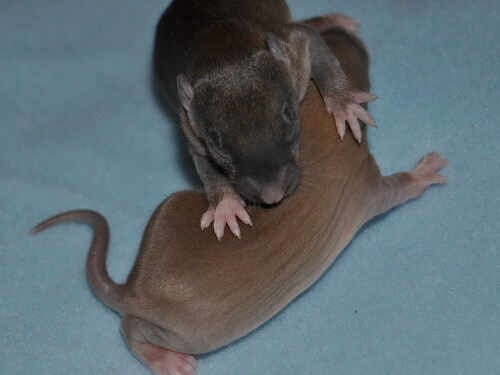 Welly is a muscular, confident and active buck (owned by Annette Rand) from a Brandywine/Shunamite mating, so this is another mating to integrate the outcross into a different strain of the line. 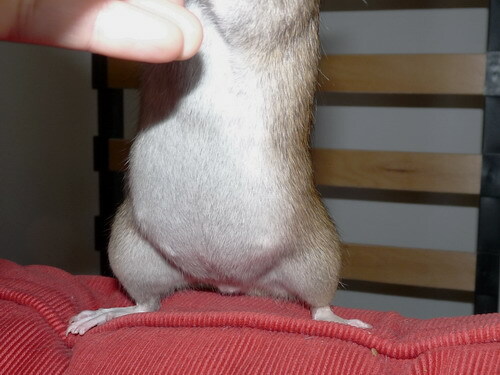 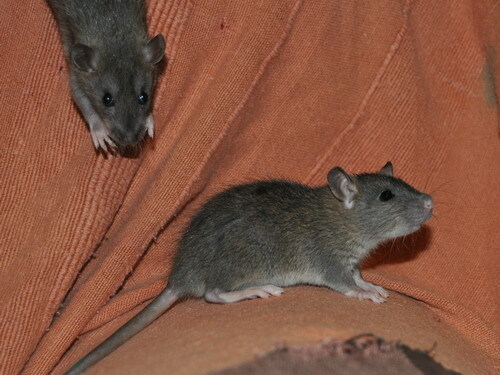 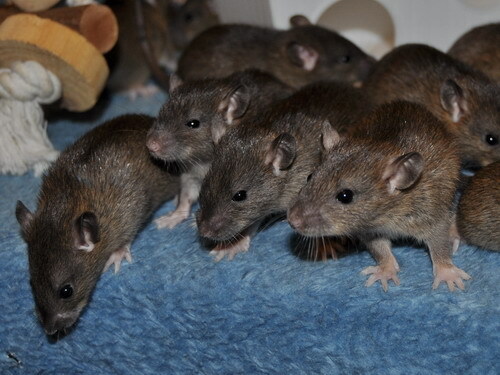 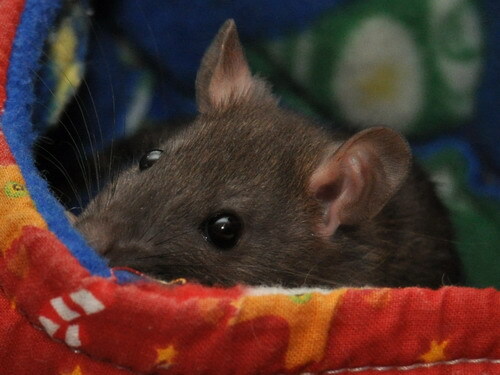 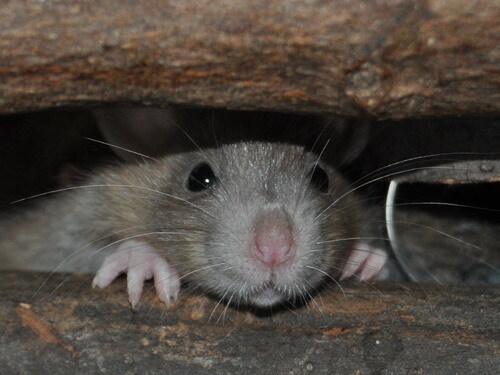 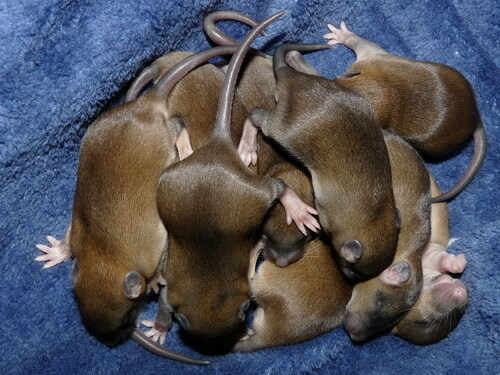 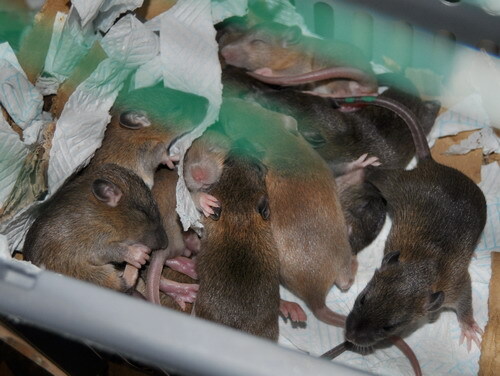 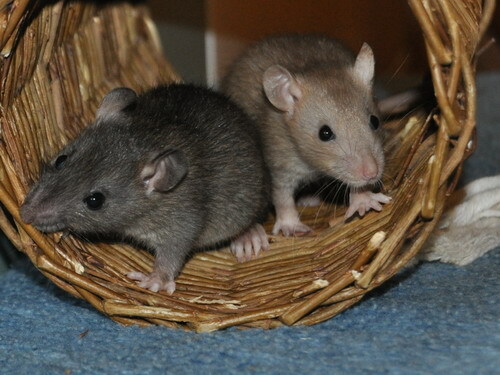 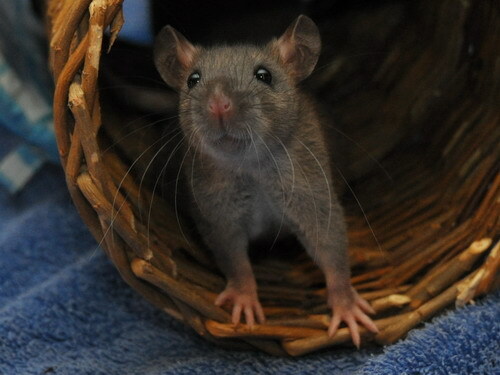 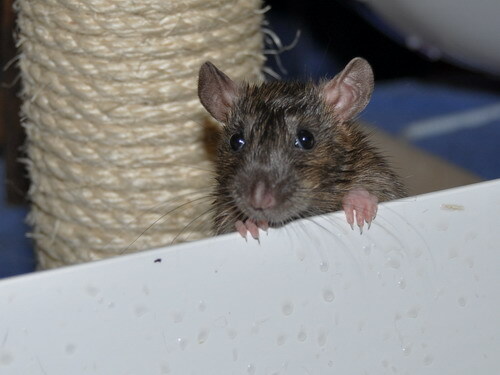 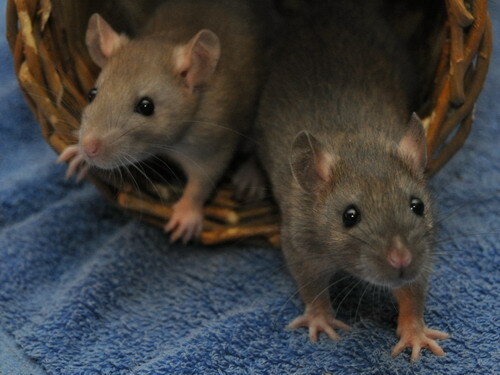 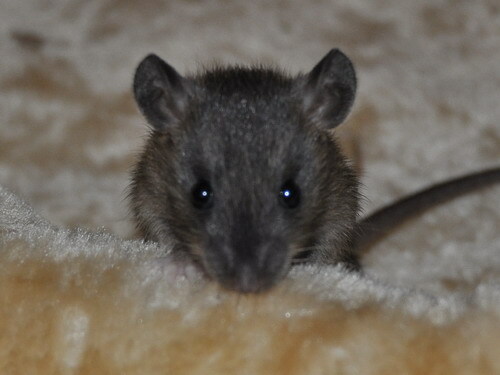 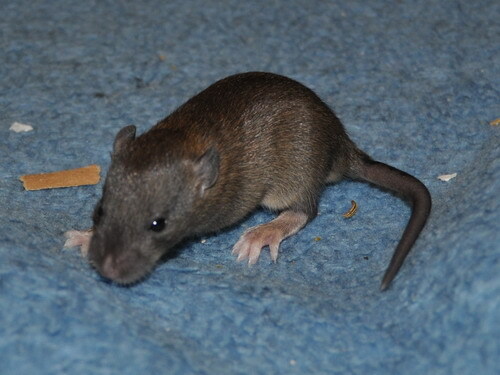 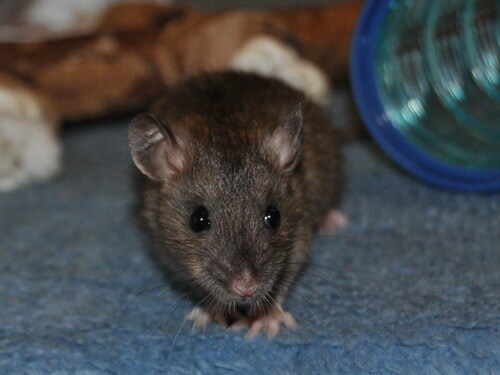 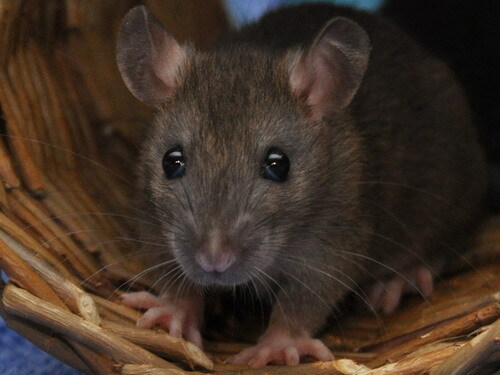 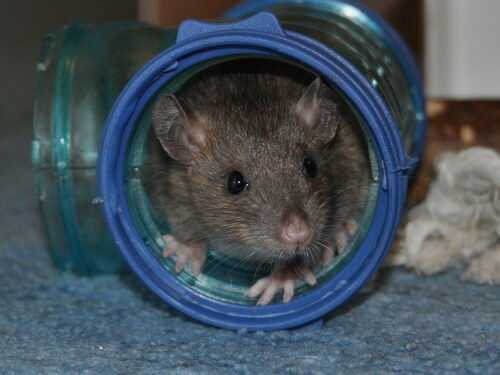 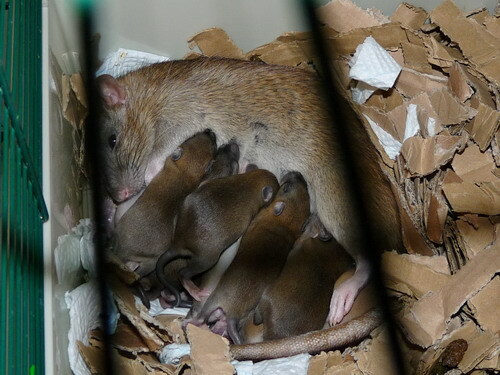 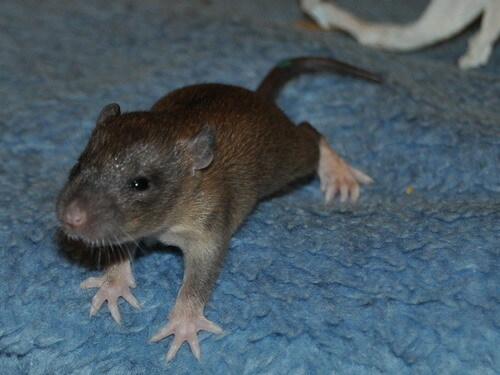 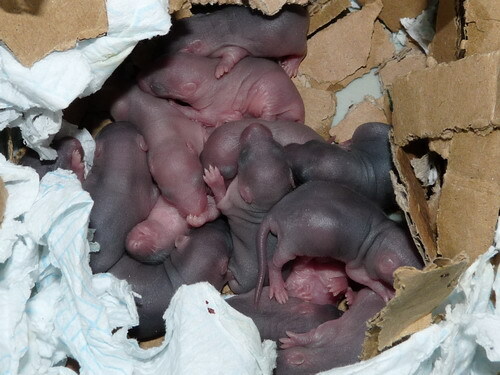 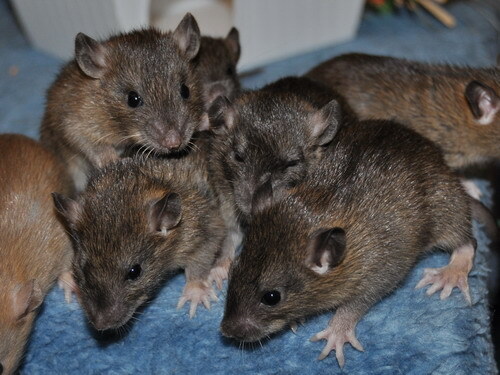 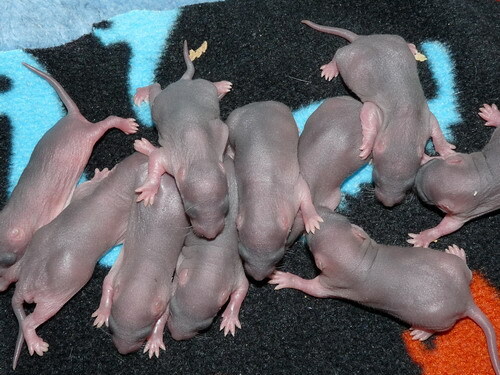 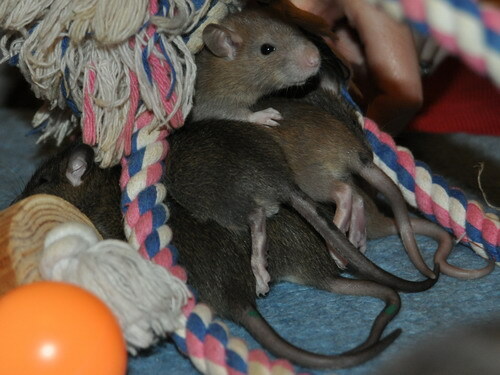 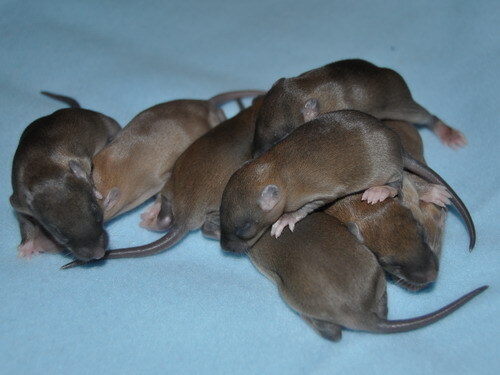 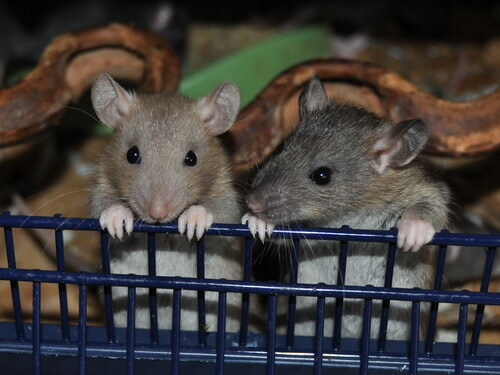 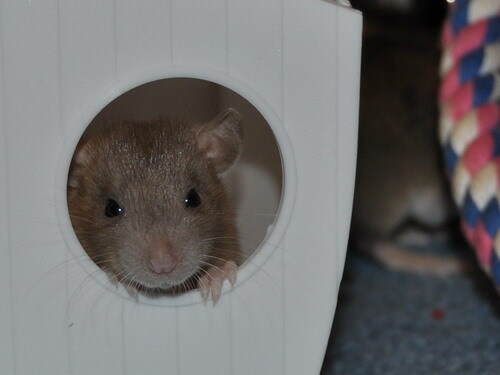 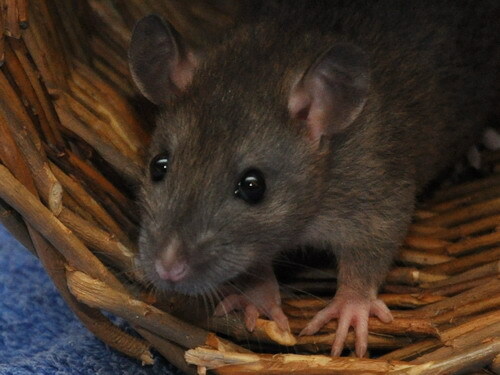 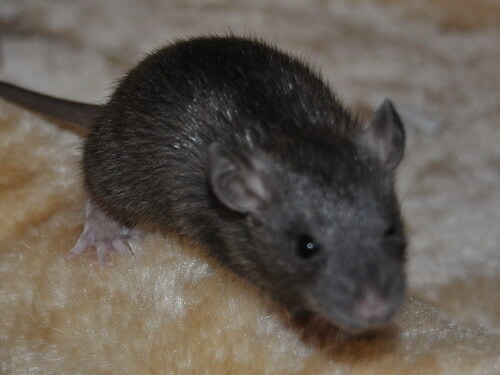 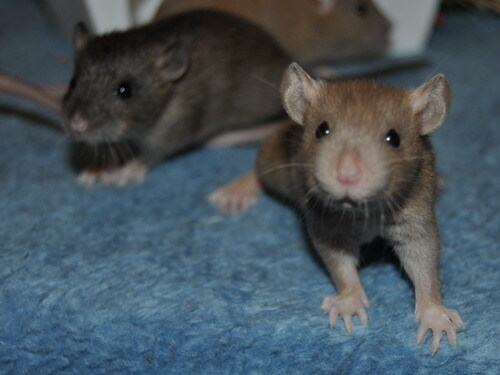 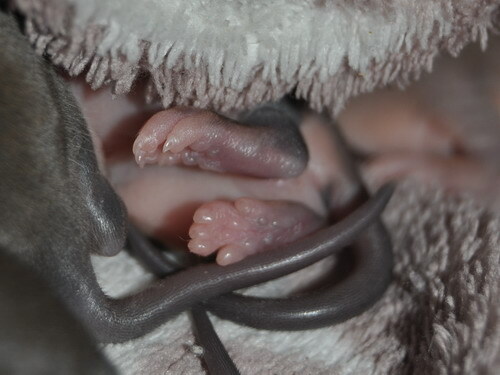 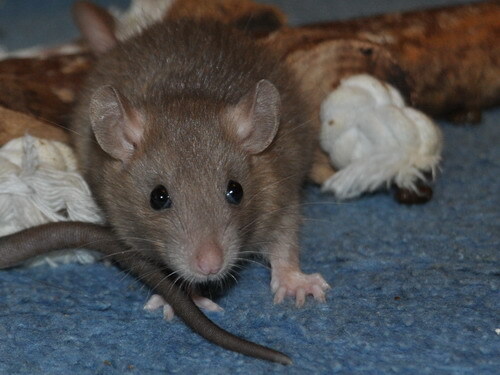 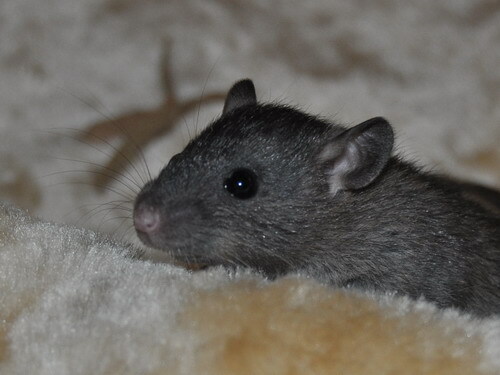 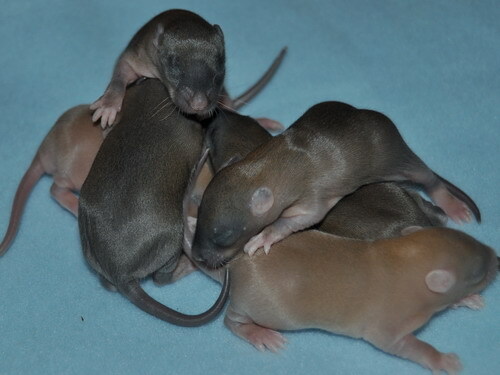 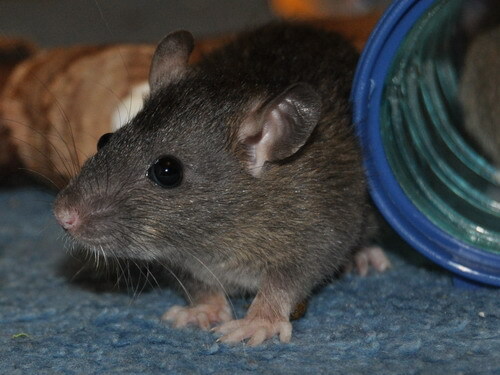 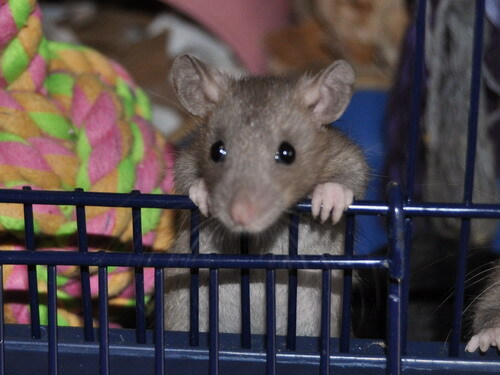 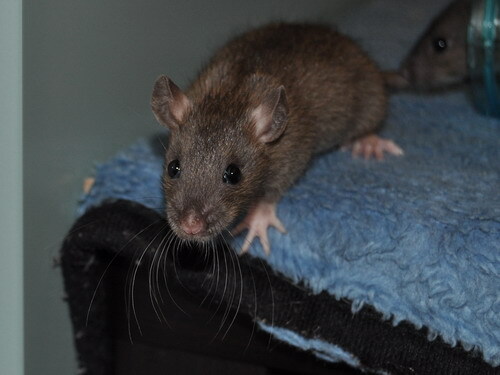 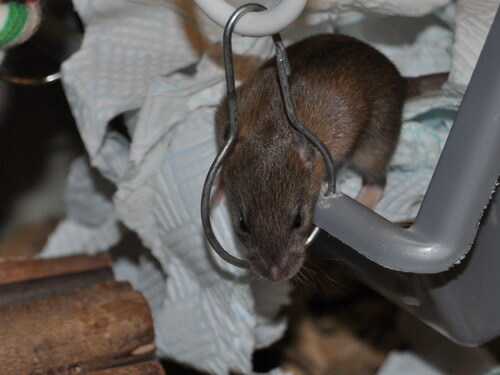 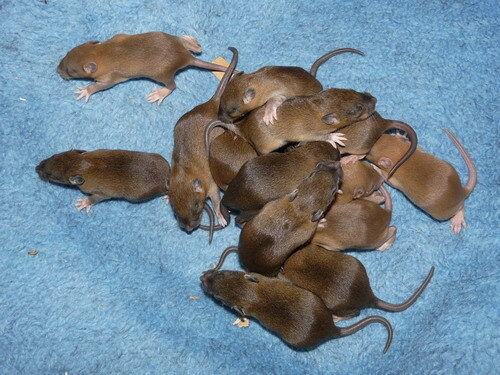 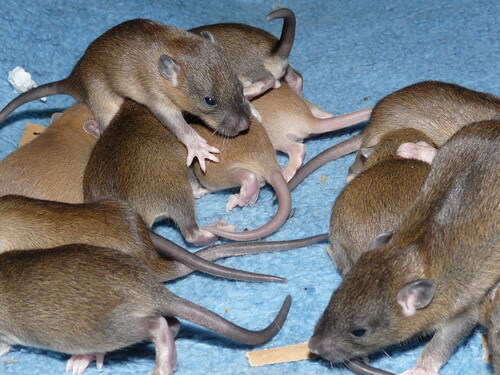 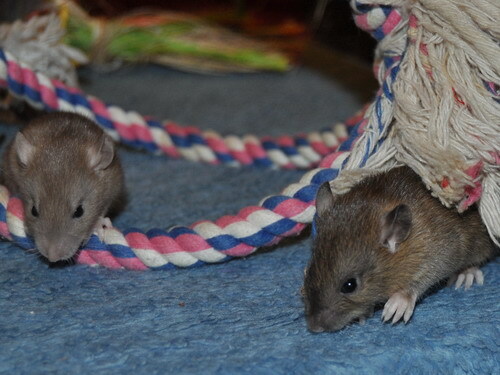 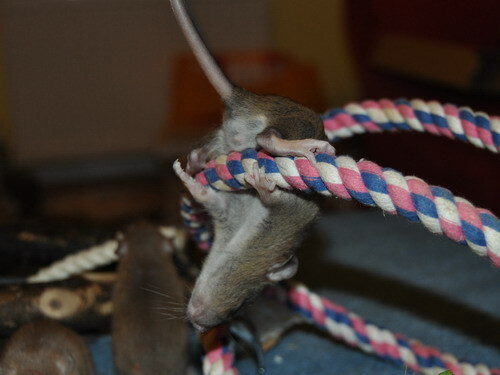 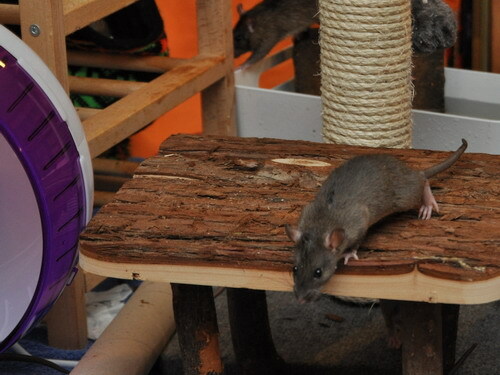 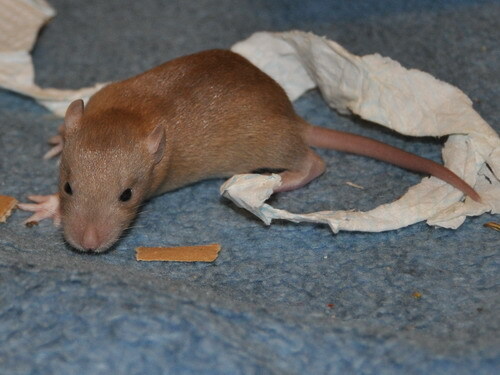 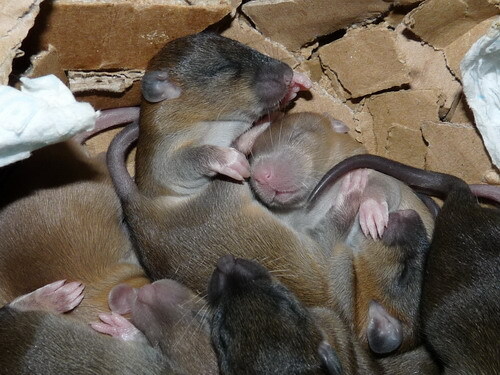 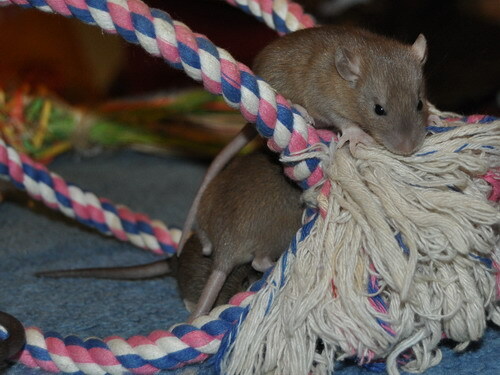 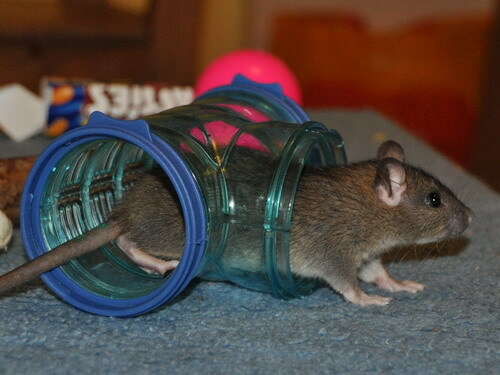 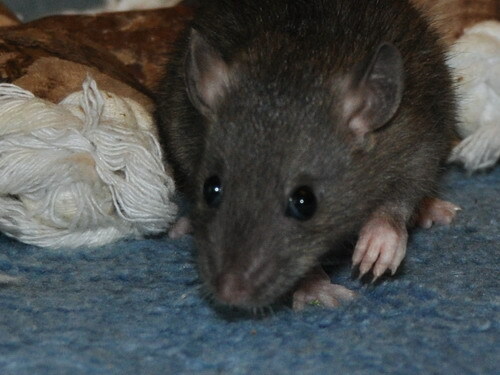 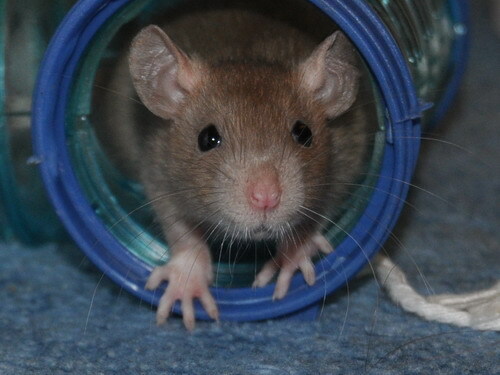 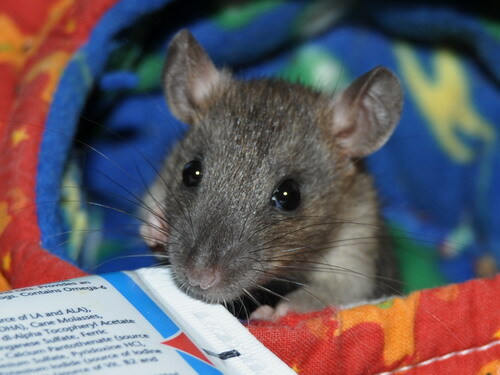 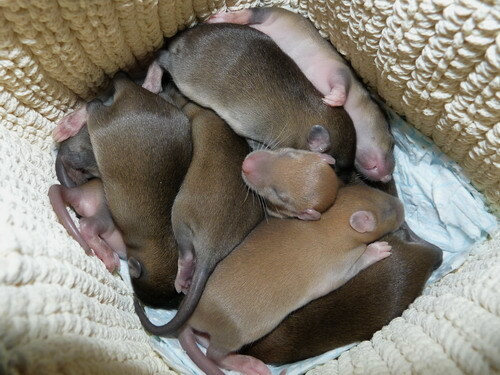 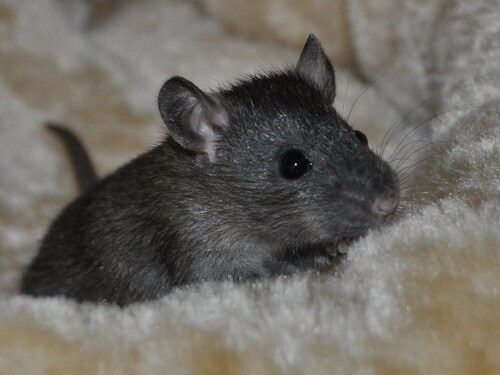 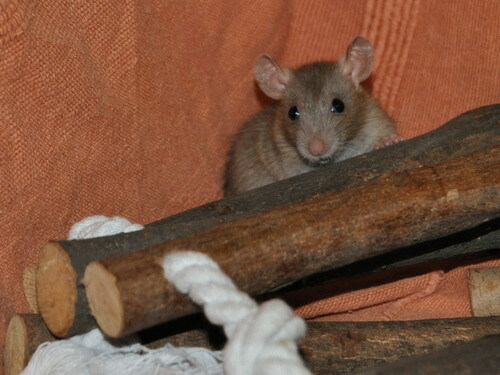 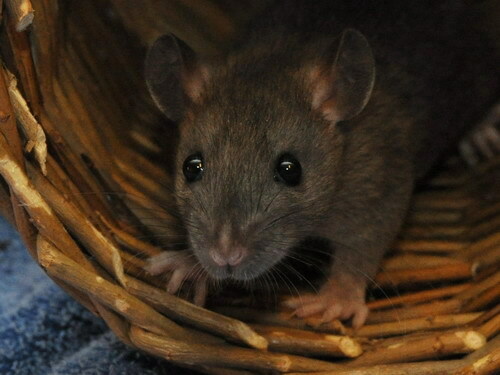 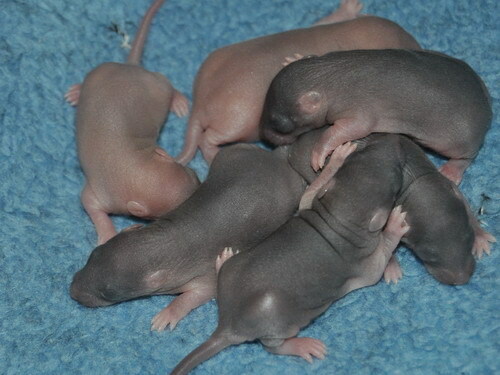 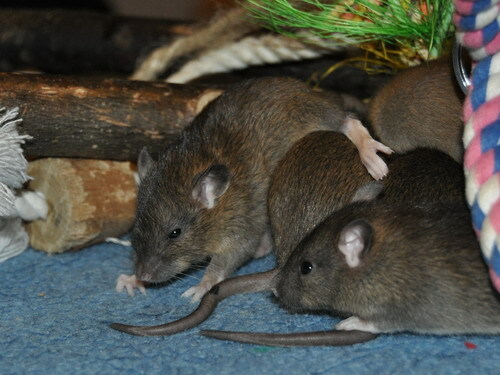 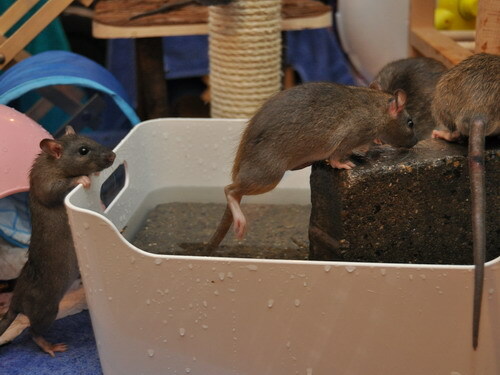 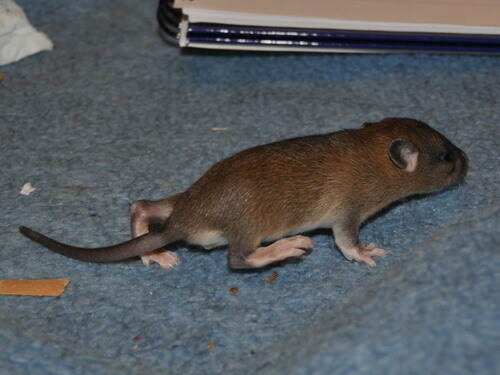 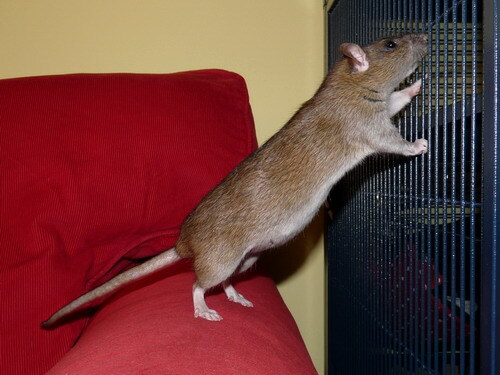 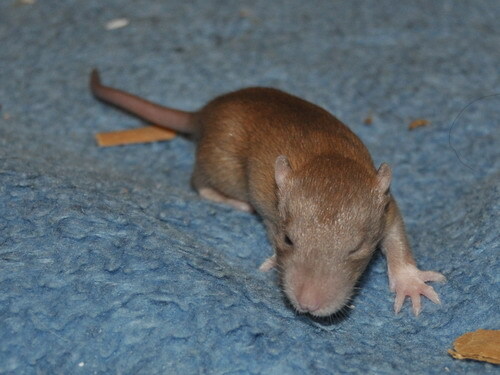 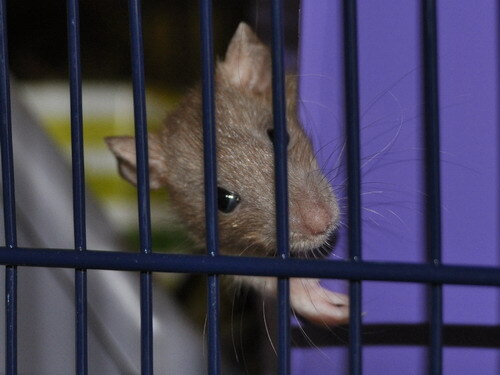 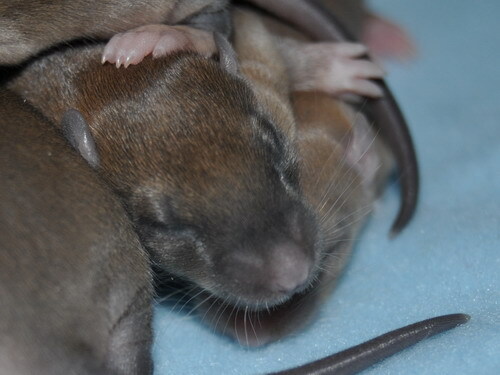 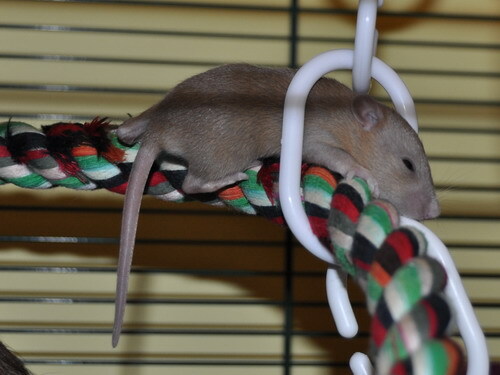 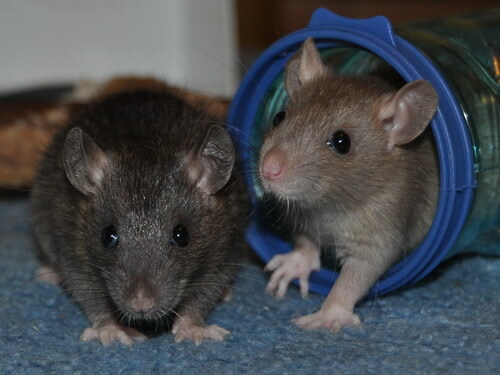 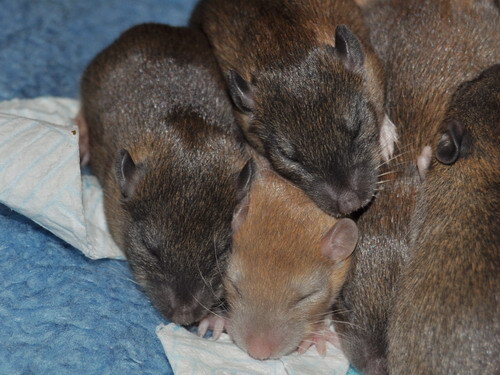 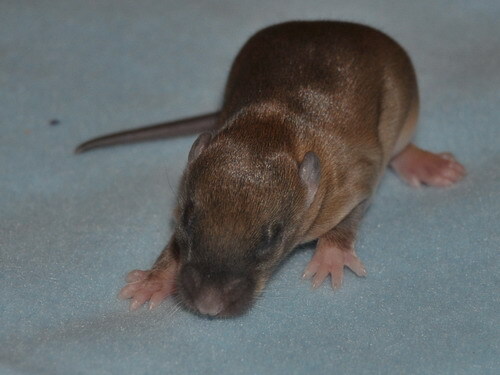 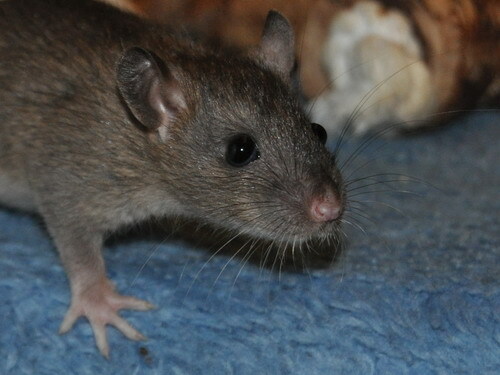 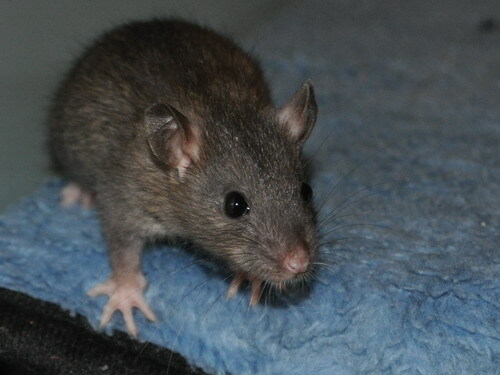 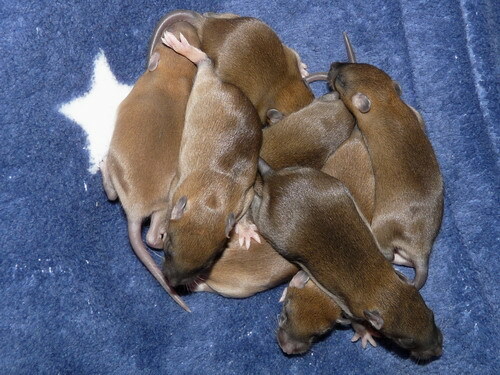 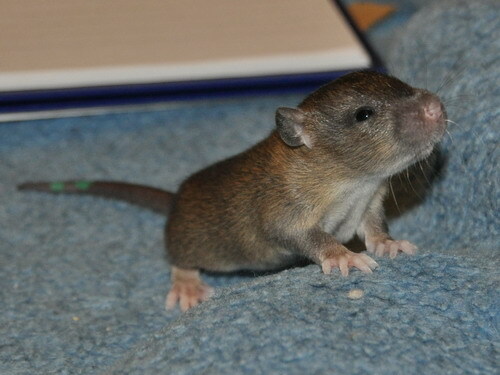 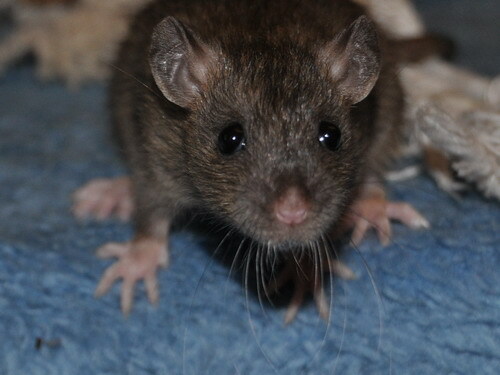 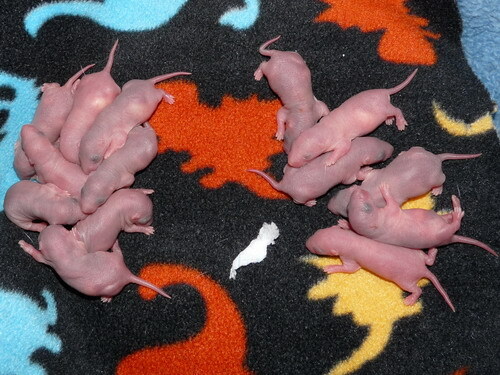 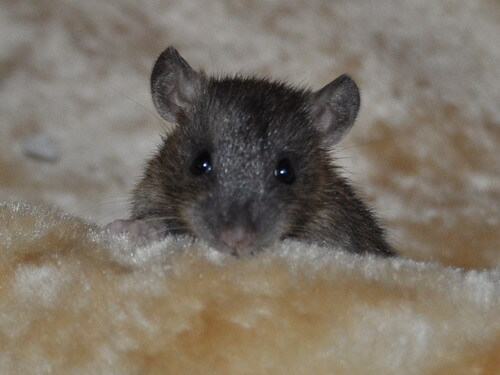 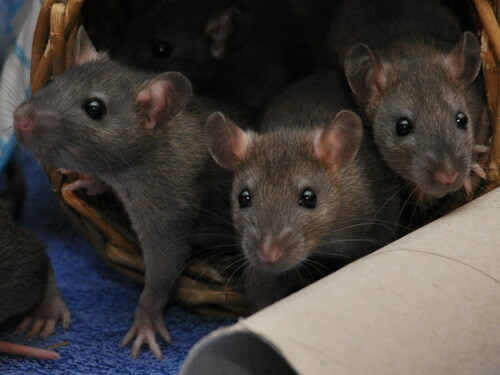 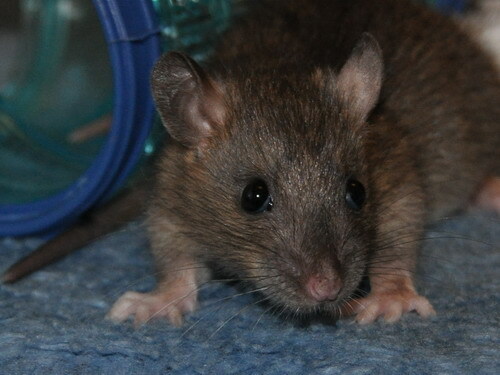 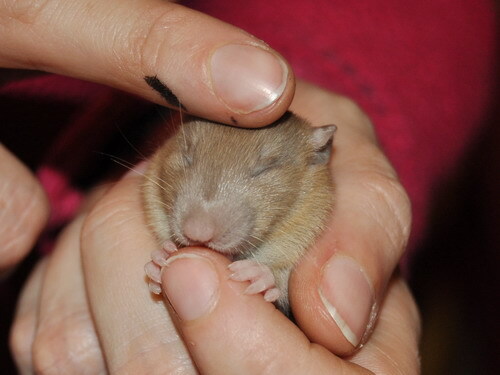 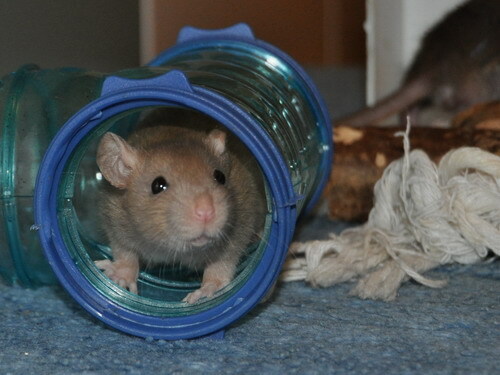 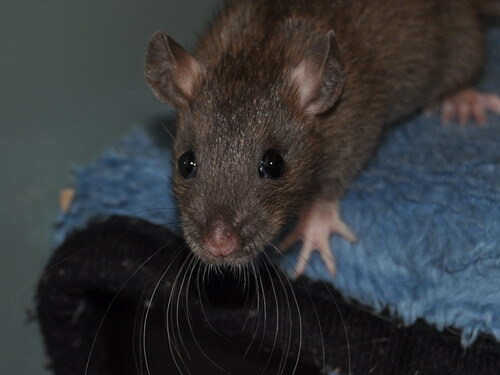 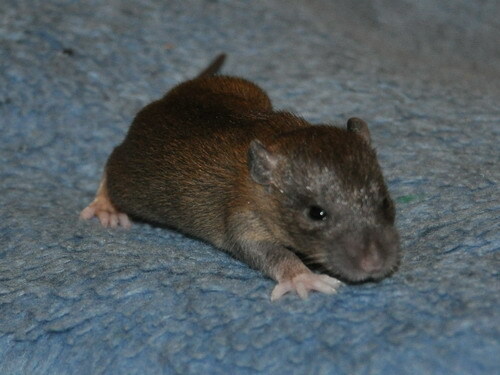 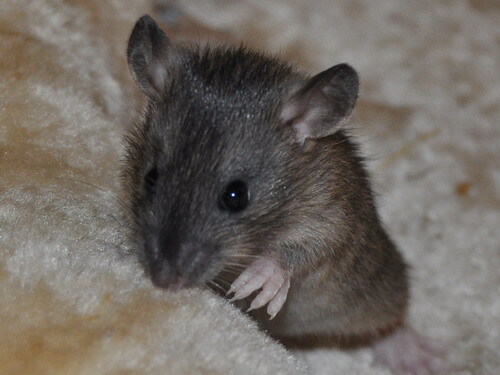 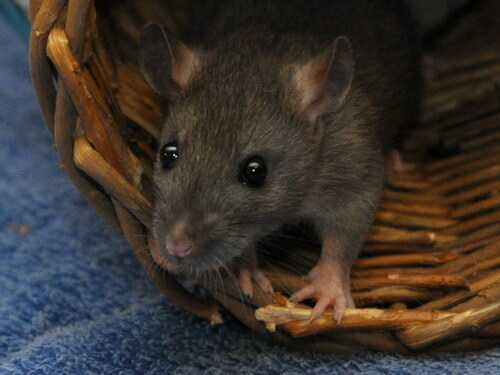 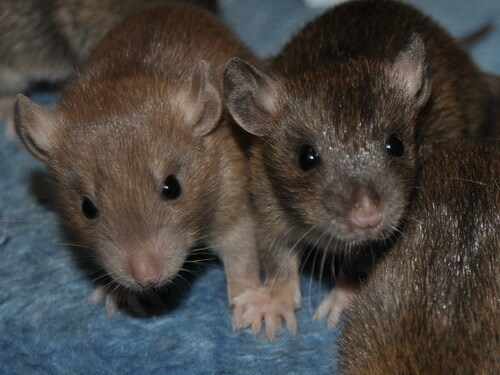 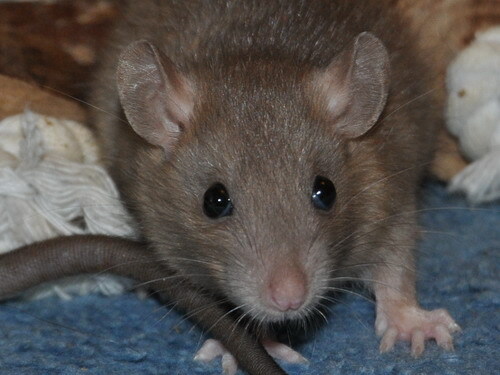 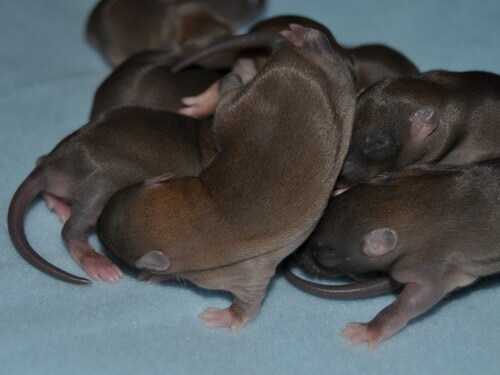 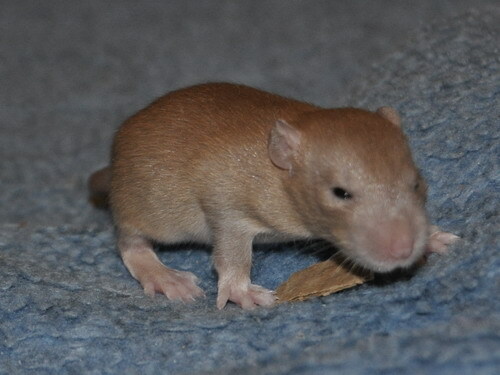 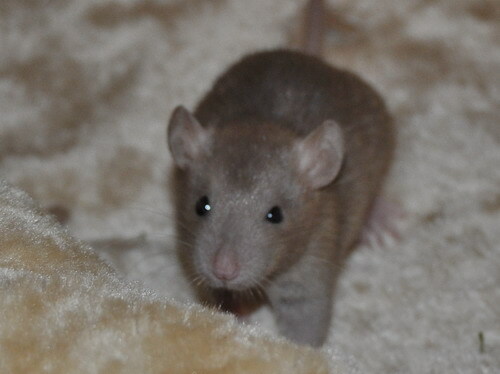 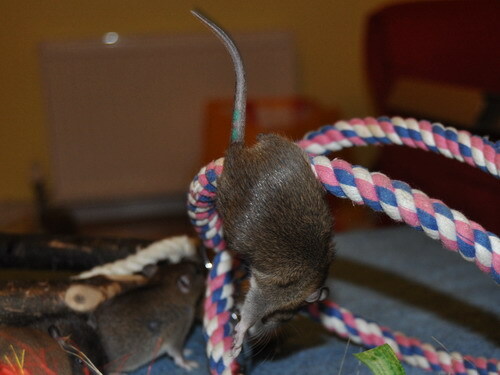 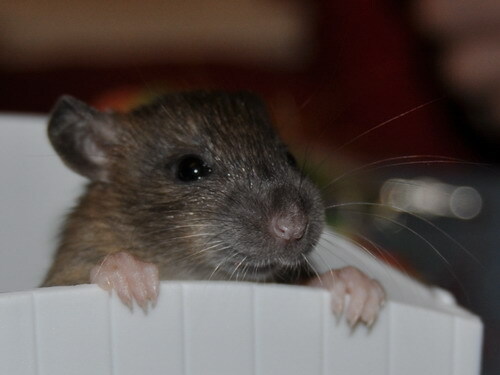 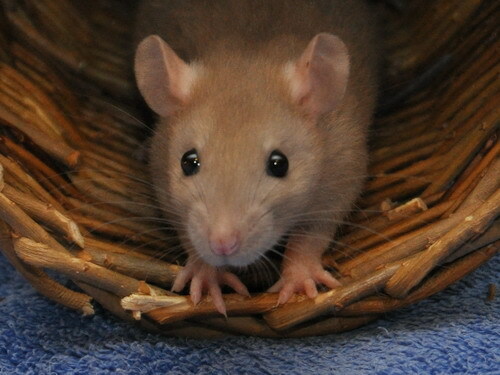 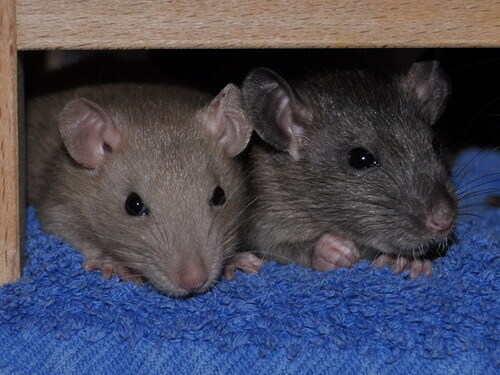 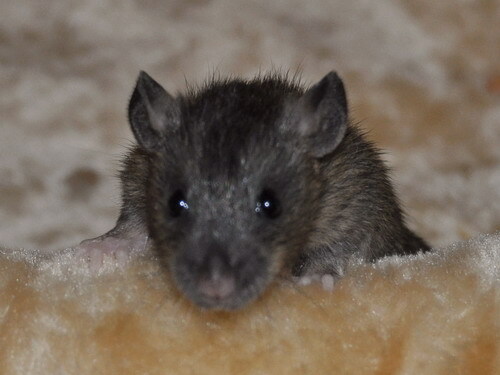 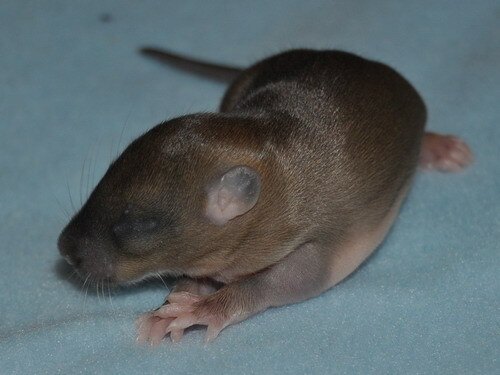 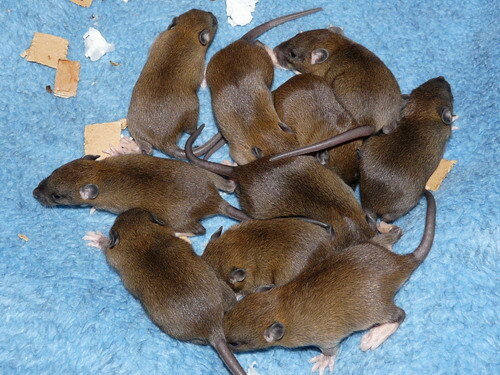 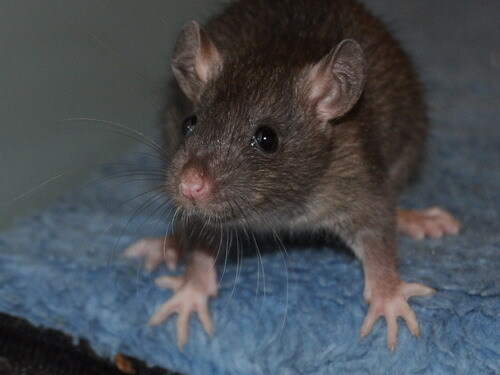 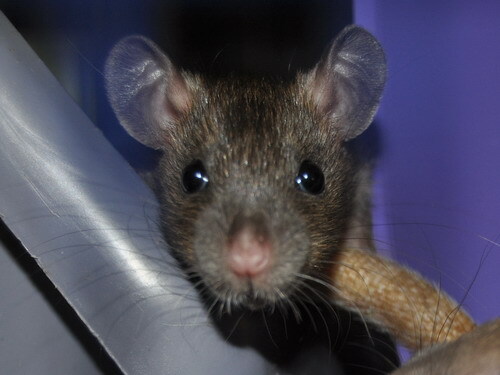 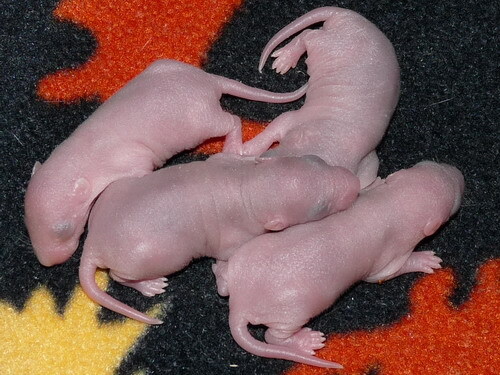 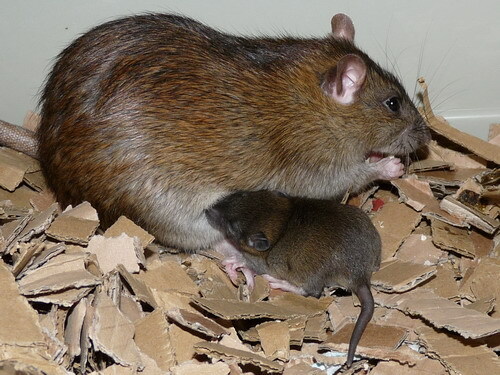 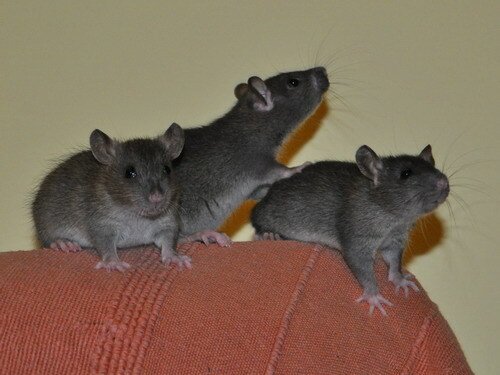 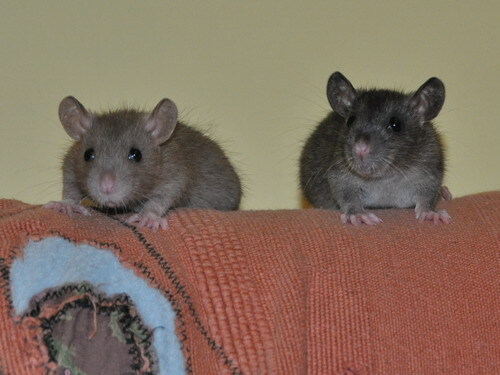 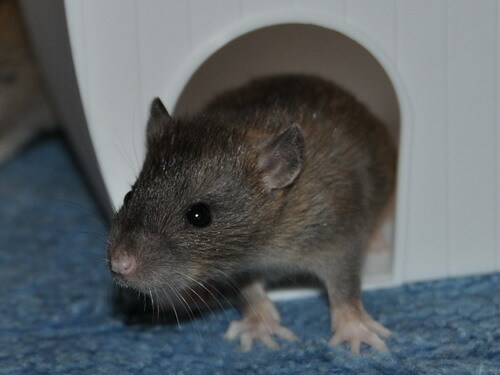 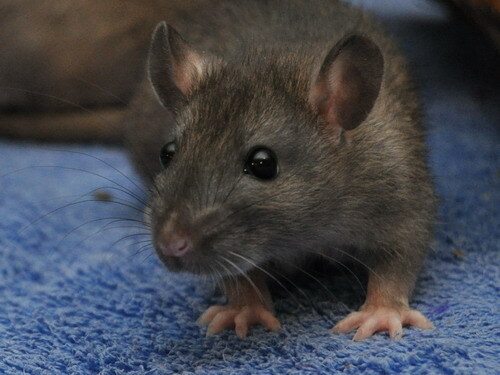 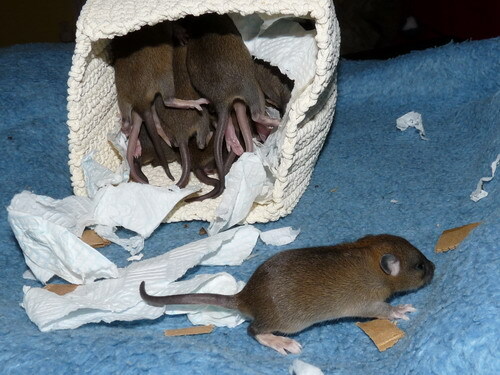 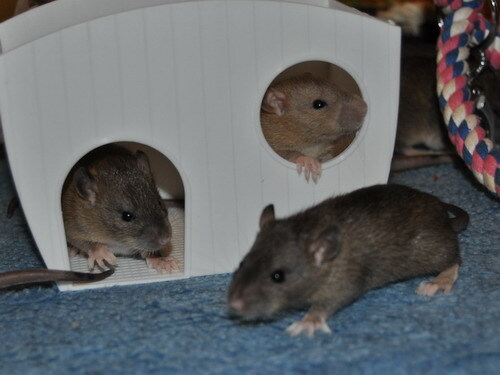 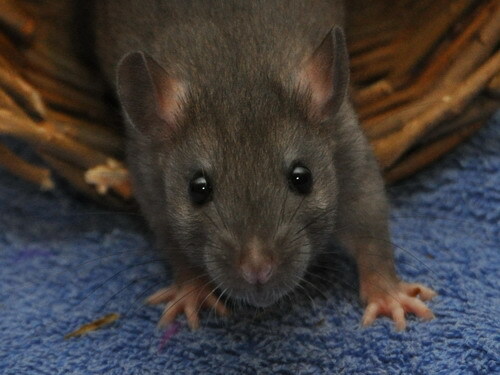 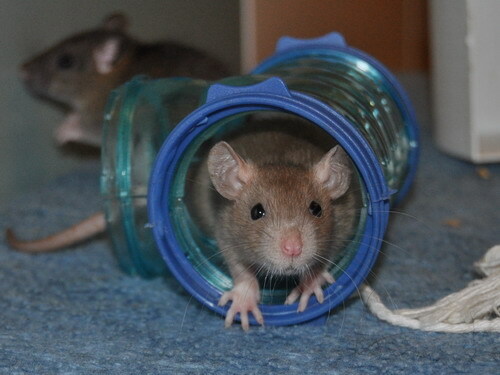 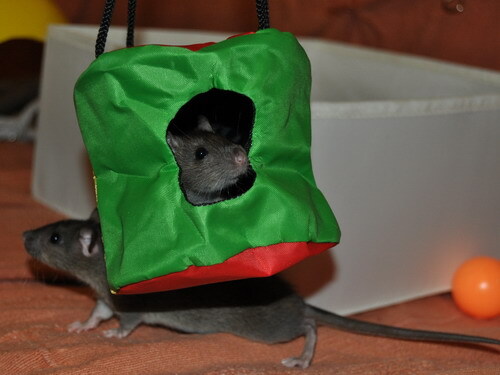 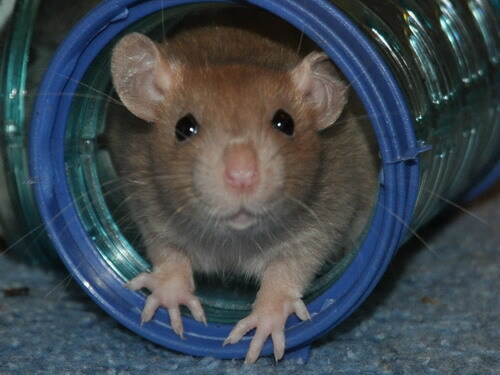 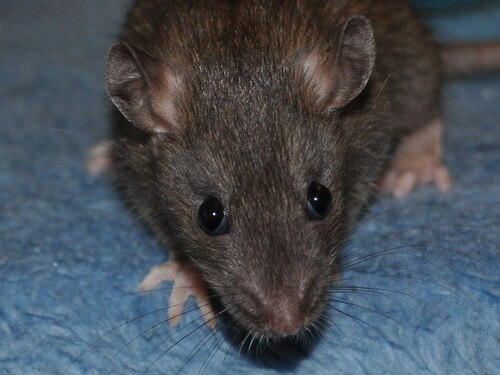 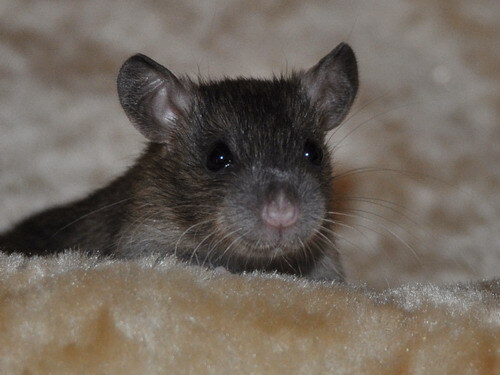 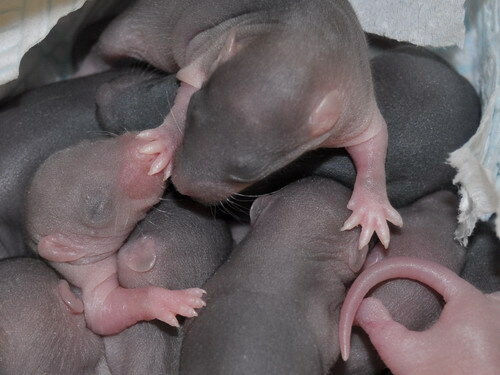 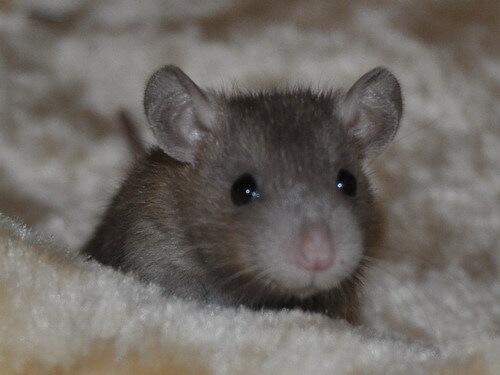 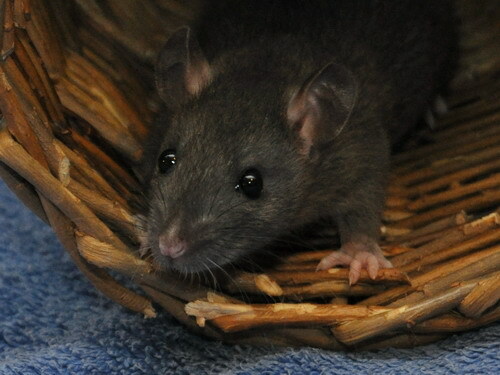 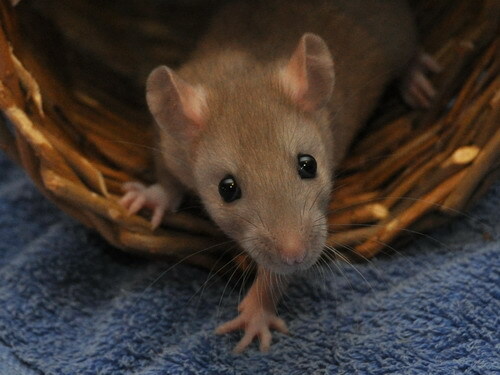 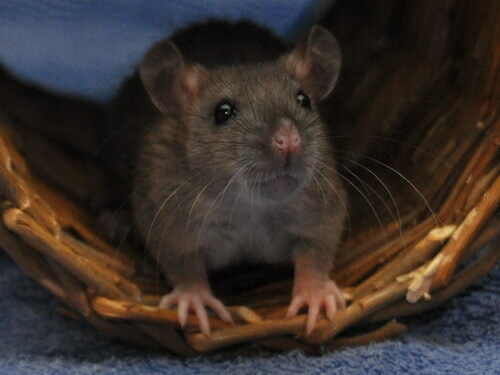 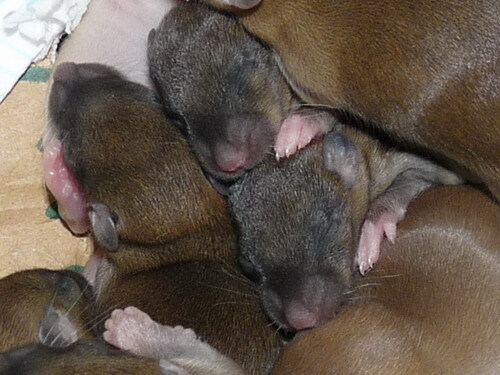 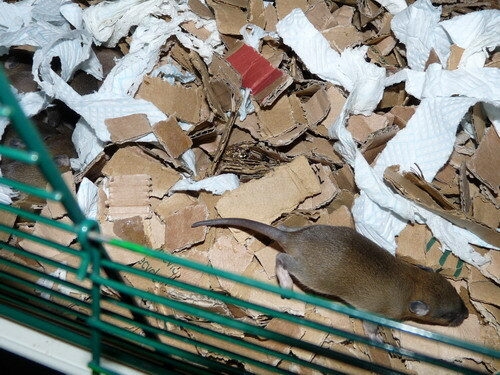 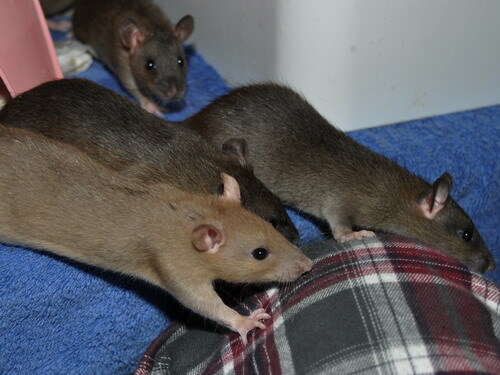 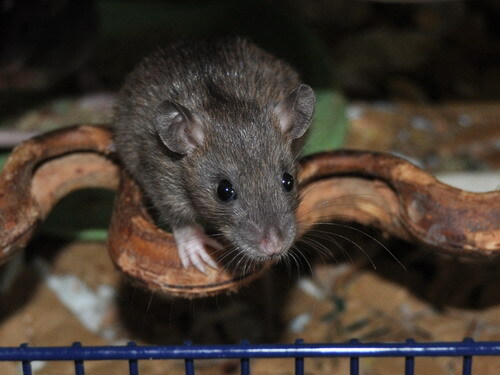 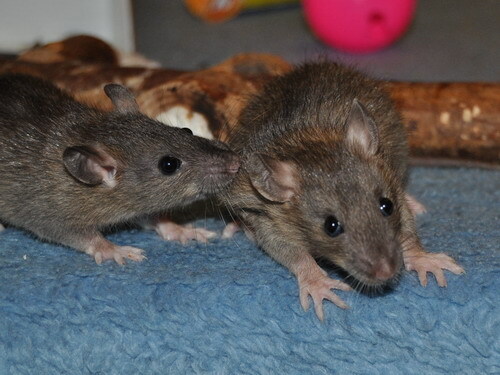 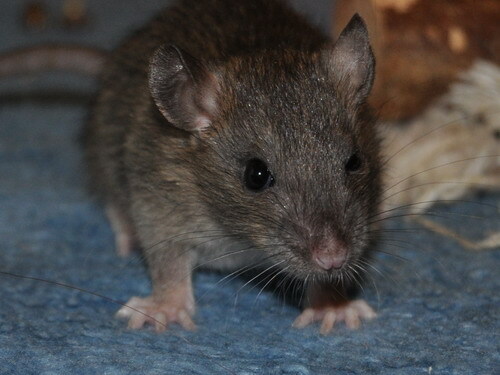 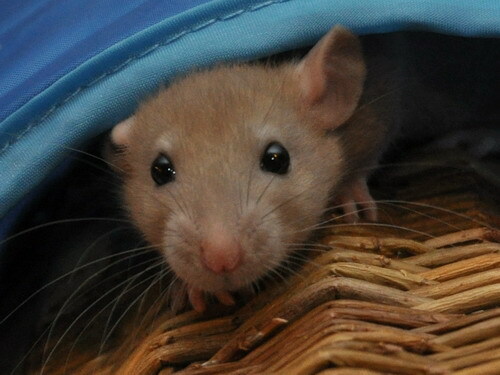 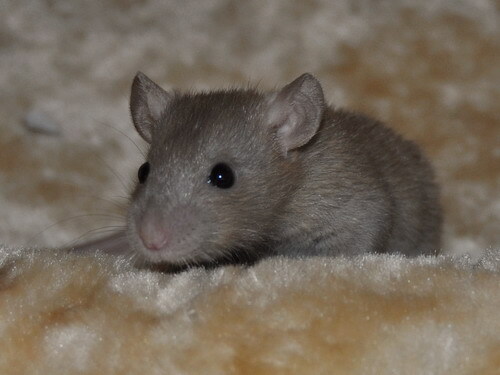 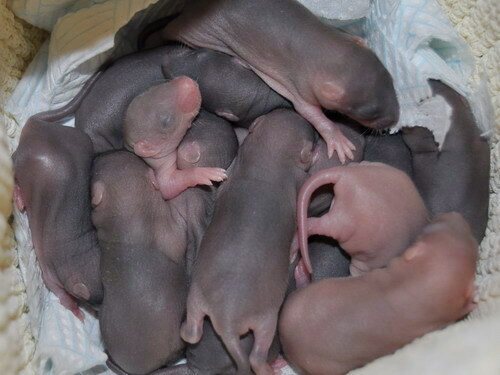 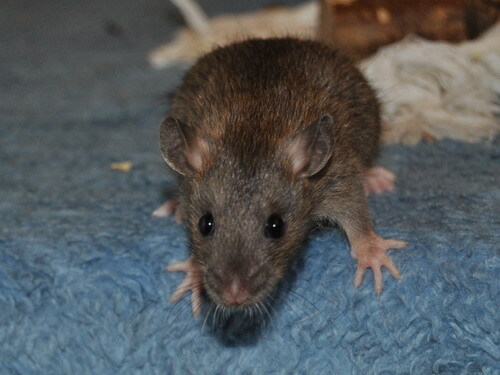 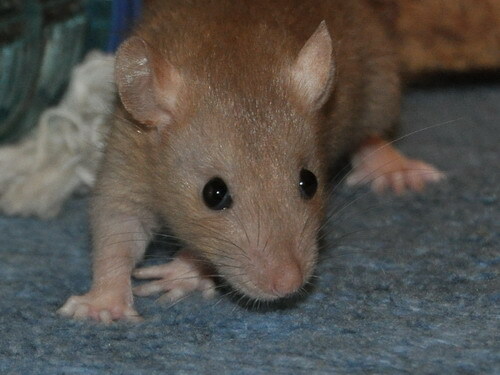 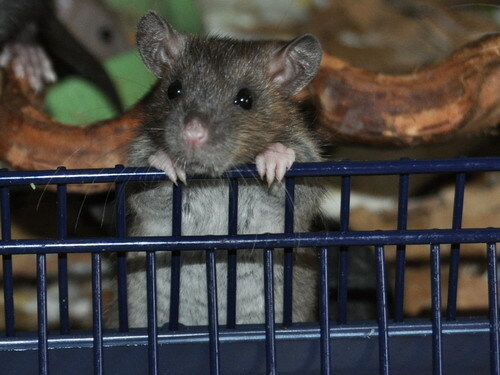 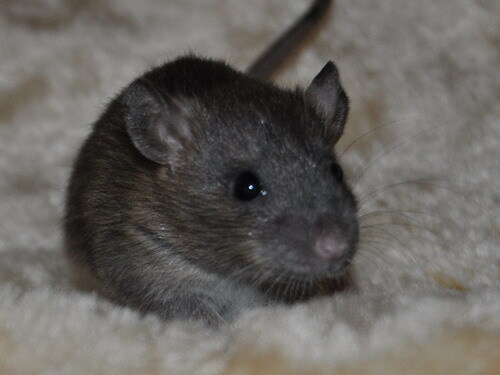 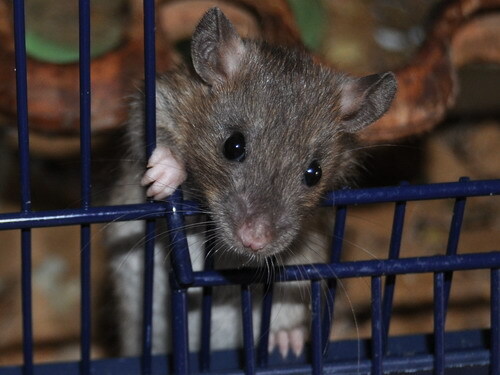 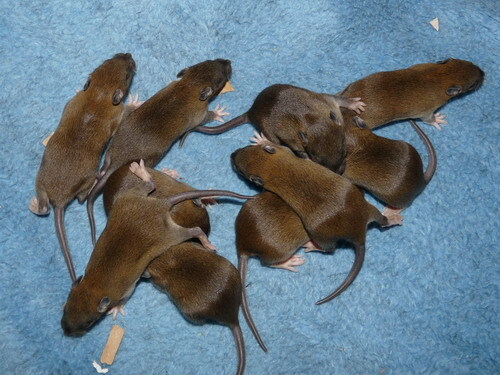 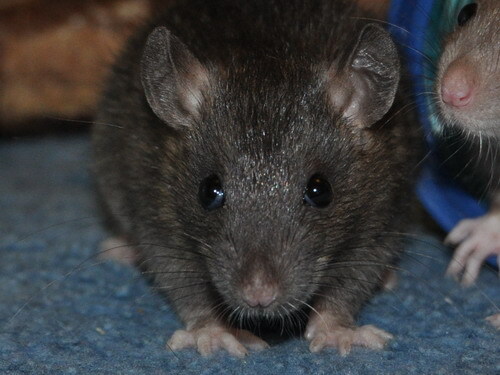 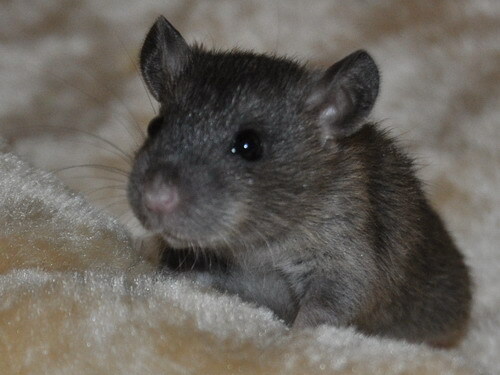 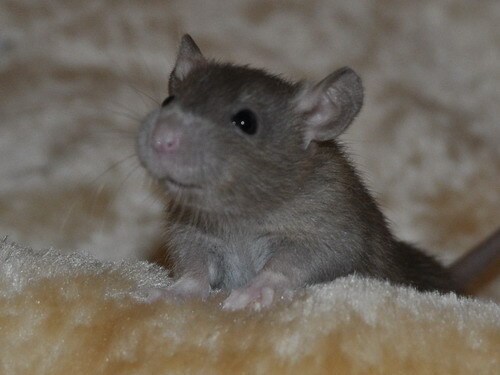 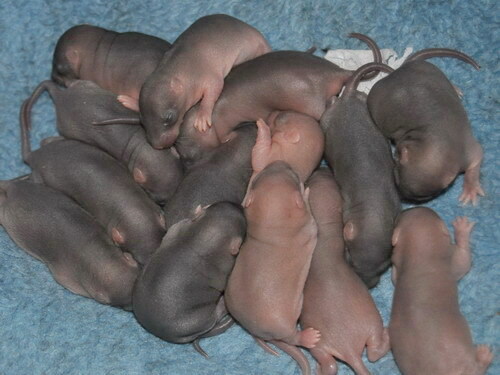 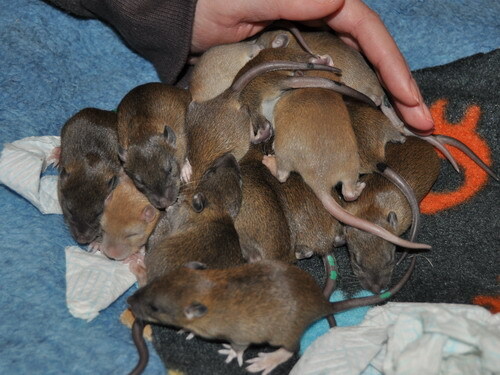 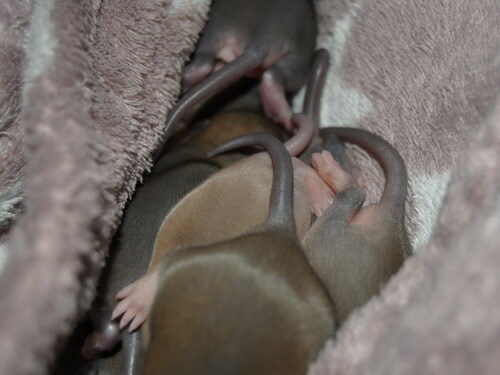 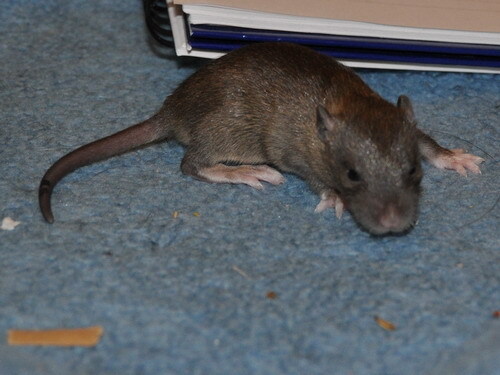 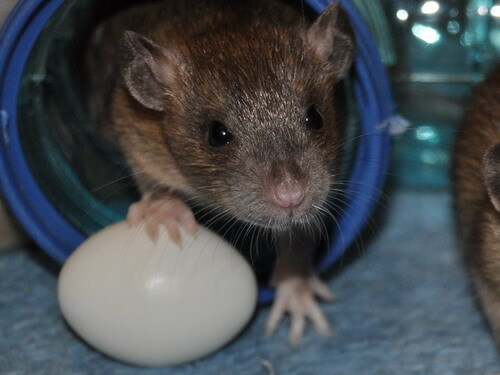 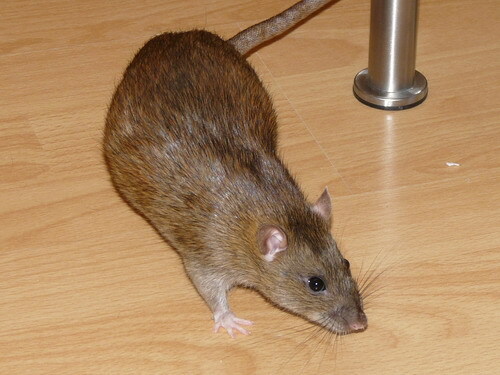 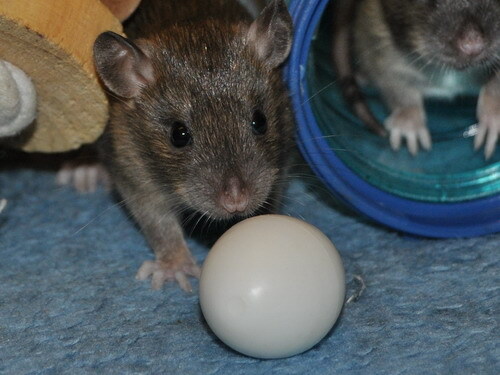 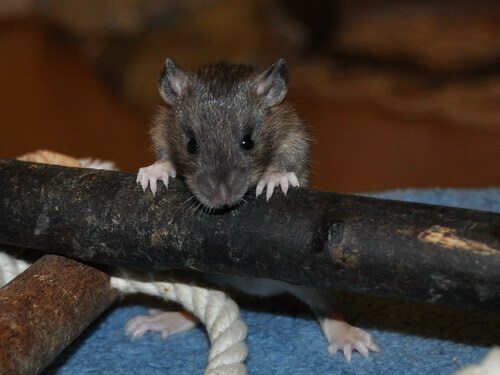 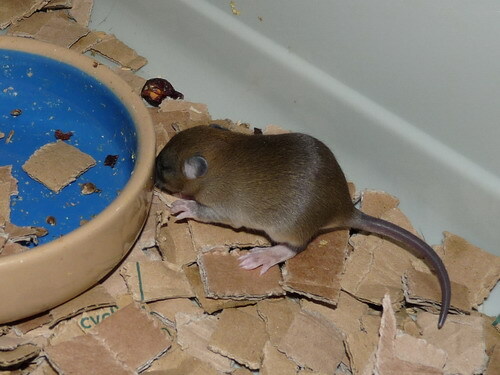 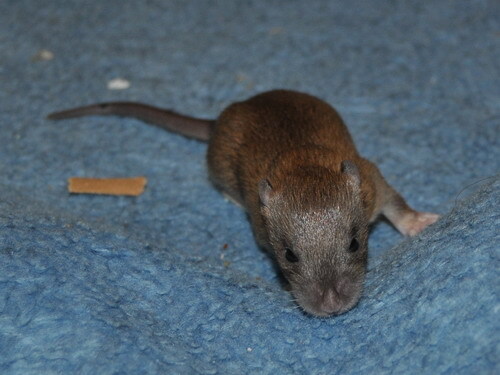 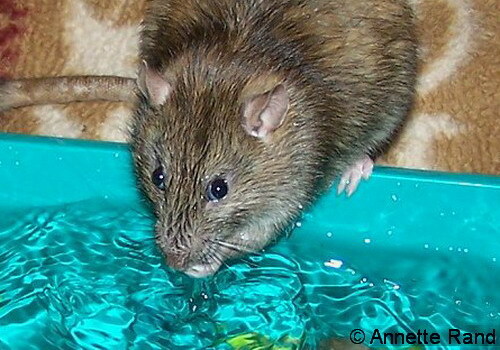 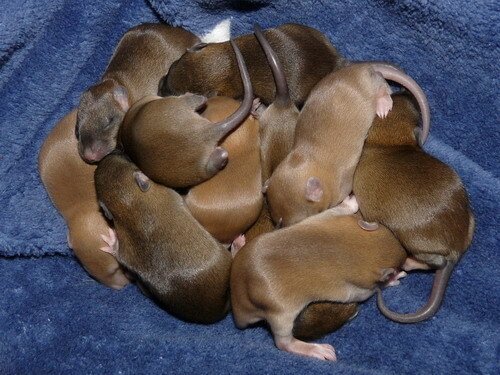 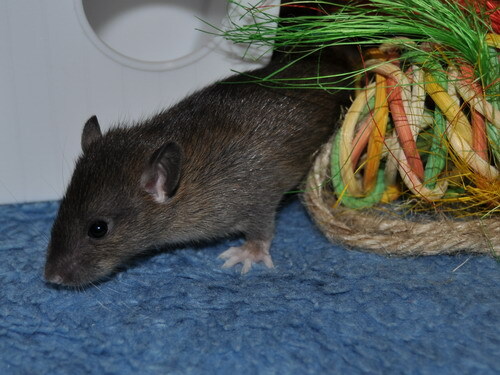 Babies should hopefully be very "ratty" with good solid type, as well as pleasant and steady temperament-wise. 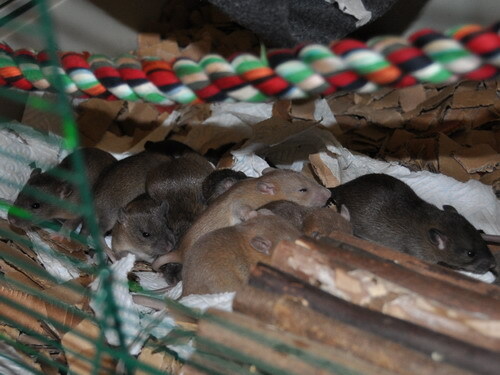 We'll definitely get agouti and possibly some black, and babies may carry mink and/or Russian. 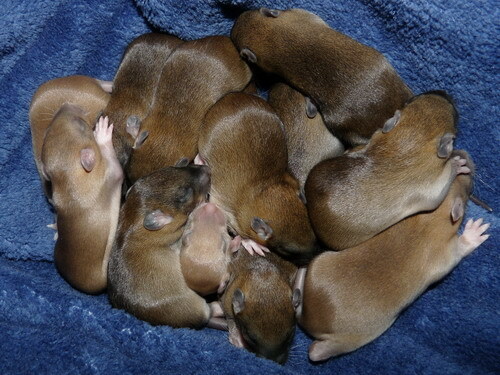 This litter will be homed jointly with the Blonkeys.